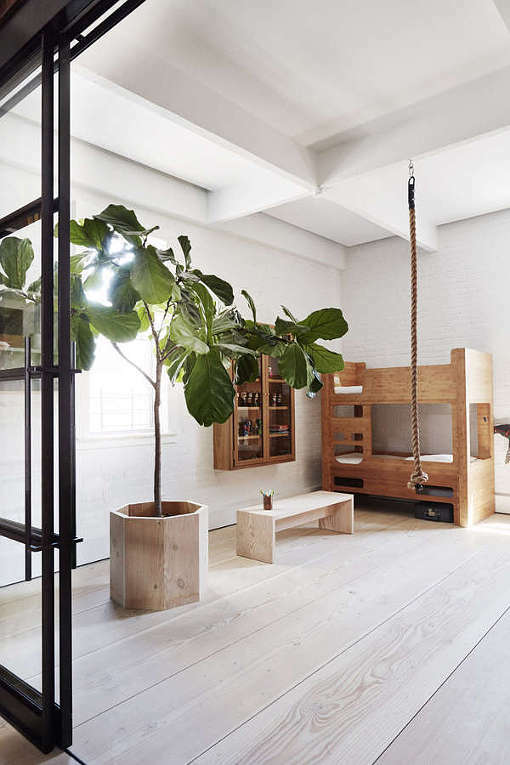 Scandinavian minimalism meets industrial in this Tribeca loft by Søren Rose Studio. 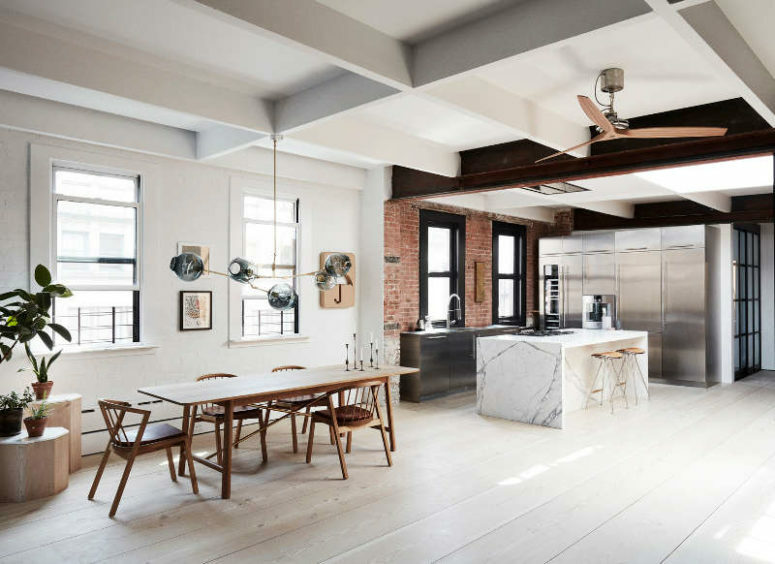 From it’s original, now whitewashed oak floors and exposed brick to the super slick marble and stainless steel kitchen what’s not to love? Let’s take a closer look at this beautiful space. Some original features remained almost untouched: whitewashed oak floors, exposed brick walls and old windows, black steel and glass walls. There are many contrasting touches in different spaces, this idea makes them more eye-catching. 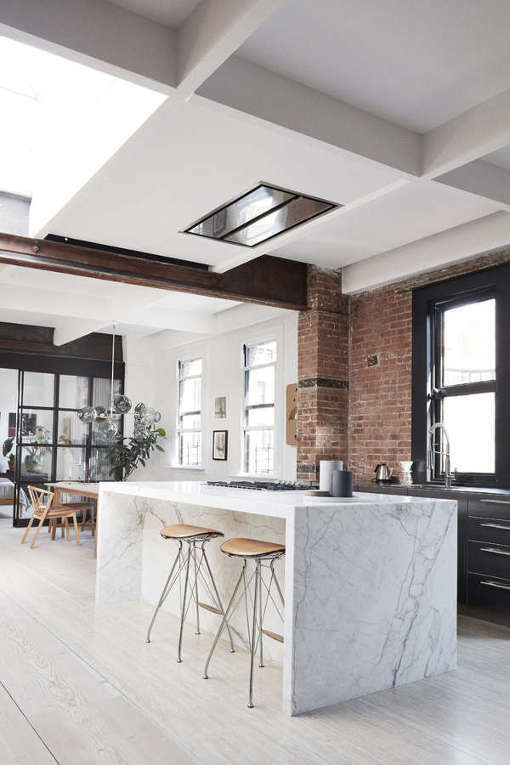 The kitchen and dining space are united into an open layout but separated visually: the kitchen features an exposed brick wall, and the dining space has white walls. 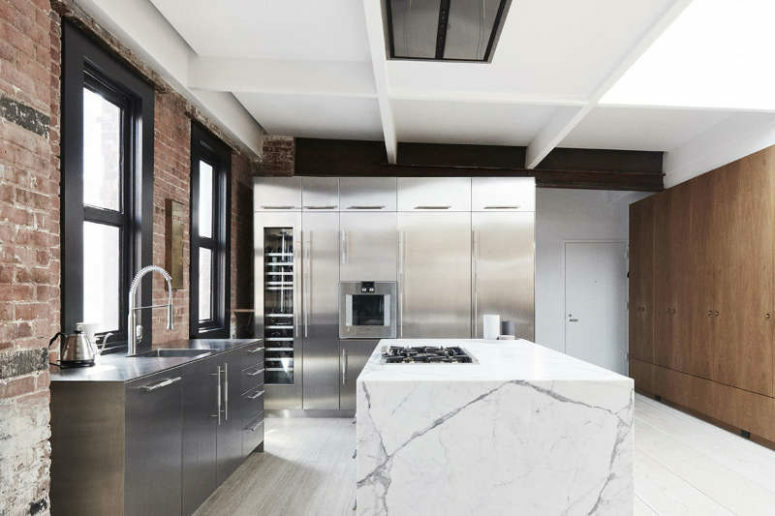 I love the big white marble kitchen island, which adds chic to the whole space, and stainless steel kitchen cabinets that contrast with it. 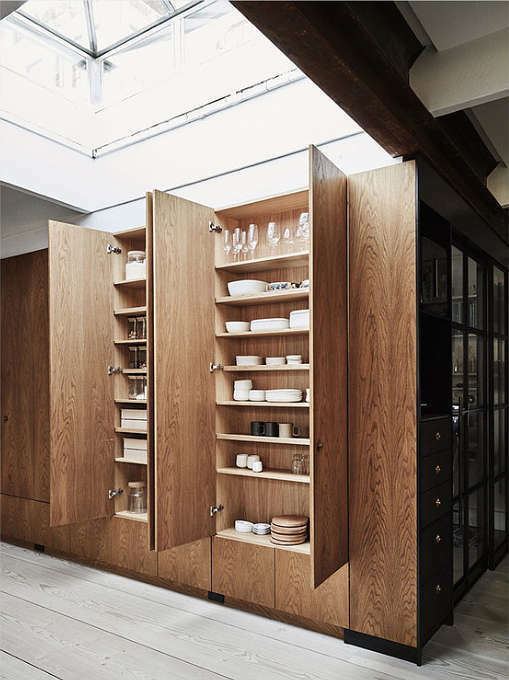 The space is decluttered as the storage spaces are inside tall wooden cabinets with no handles. The living space nook features a comfy leather sofa, a white wall with open shelving and a framed black and glass wall that opens to the open kitchen-dining room. The idea of contrast is realized here, too: just look at the black wooden wall and beams and a white one, they make this nook very eye-catchy. The master bedroom is done in white is filled with light, there are some black cabinets for storage. 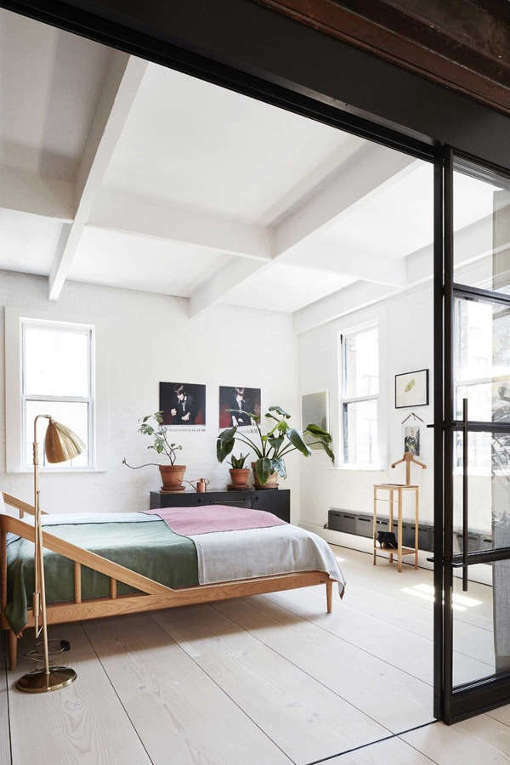 There’s a comfy wooden bed, some wall lamps and clothes hangers, all of them light-colored, which creates a welcoming ambience. Look for more pics of these beautiful spaces below!